Even if you are only involved in one aspect of the market it is important to understand the terminology the industry uses. The data centre environment is multi-disciplinary and this course is designed to give students a broad understanding of all the disciplines involved. This Data Centre Primer course has been developed to give a good fundamental grounding knowledge of the market and the facilities. 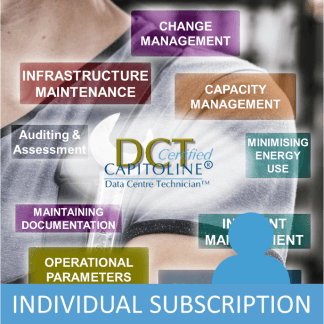 This comprehensive data centre primer course covers all of the infrastructure you will find in a data centre and discusses the critical aspects which improve resilience. You will learn how cooling systems work, the key components of the power system and what they do along with the IT cabling, Fire systems and the IT equipment. You will also understand why data centres are laid out in a certain way along with some of the key operational parameters. 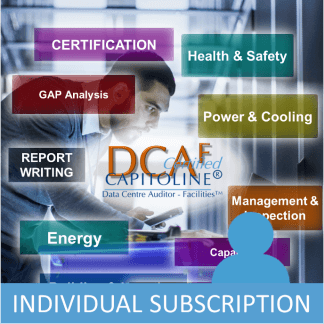 When you book on the classroom data centre primer course you will also be given access to the online data centre design course course Subscription for one year. Access will be granted on receipt by Capitoline of your payment (Note: If booking through a 3rd party this may be later than your payment to them). Attendees of the classroom course will also receive a searchable personal electronic copy of the course material. When you take the Classroom course there are also exercises to help you learn along with quizzes and a final exam to confirm learning and progress. Anyone wishing to gain an understanding of data centres and the data centre market. 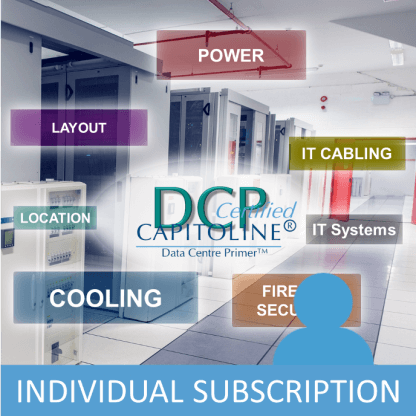 If you complete this DCP data centre primer course and pass the exam you will be awarded a certificate and the right to use the DCP logo and the DCP designation after your name whilst your certificate is valid. The certificate will expire three years from the date of issue of the certificate. In order to renew certification, it will normally necessary to pay for and take a renewal examination and to be subscribed to the appropriate course. Near the end of your certificate expiry we will send a reminder to your registered email address to explain the process. N, N+1, 2N, Tiers/Ratings/Classes etc. An explanation of the reasons for earthing ground and bonding and the specific needs in a data centre. The fundamental components of cabling, some issues with high speed networking and the principles of cabling design.